Tonight every television in the country will be set to the Canada vs USA gold medal men's hockey game. This is the game that Canadians and Americans live for. The old rivalry between two neighbour nations. Two teams full of NHL All-Stars, the majority of which play side-by-side for their respective teams during the year, but once every 4 years the Olympics rolls around and the men must divide and conquer while draped in their nations colours. 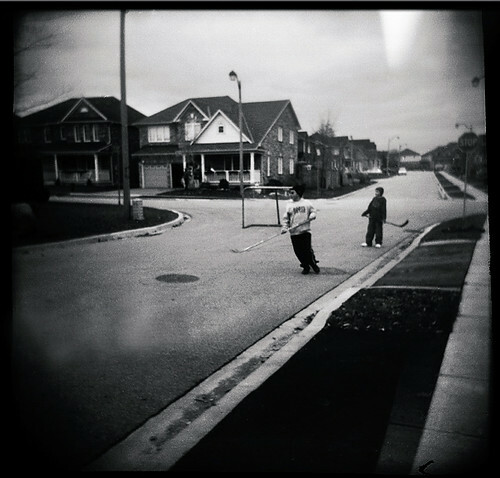 There is no single sport closer to the heart of Canadians than hockey. We live it and we breathe it. We are the birth nation of the sport. It is ours... and only ours. Sharing a boarder with one of the most self-righteous and self-proclaiming nations on the planet is not easy, which makes CAN/USA hockey games so important to the Canadian identity. We lose our great singers, actors and biggest brains to the US daily. We allow Hollywood to champion north and film their blockbuster hits in our nation while calling it "America". We let them have our game of basketball, we've shared our precious beers, we even allow their 18 & 19 year old teenagers across the boarder to drink alcohol legally, premature of their 21st birthday. There is only one thing that we refuse to share with our American brothers and sisters. And that my friends, is HOCKEY. It is ALL WE HAVE LEFT. It is the only thing they have yet to take from us, and we'll be damned if we see them take it from us in our OWN COUNTRY. Last night when I was out at my friend's house, I could already feel the excitement developing inside me. Canada loses its identity time and time again to our neighbours to the south and most of the time, there is nothing we can do about it. We may all be pro-Canadian and try to purchase as many MADE IN CANADA products on the market as possible, but in the end the USA is somehow more powerful on a global level than our beautiful country of Canada. It shouldn't be like that, though. Canada has a lot to offer to this world. Third world countries know the Canadian flag and welcome it at any cost. Thanks to the USA, we can go to Cuba with no fear of being criticized. The USA may be more significant on a global level when it comes to money, materials, and war but the Canadian flag goes much farther. This afternoon, every Canadian will be curious on how the game between the two international rivalries is going. Every Canadian will be glued to the television or radio set. Bars will be packed. Horns will be beeping. Canada will win the gold.